Rename the drawing’s BAK (backup) file by changing its filename extension to .dwg and see if you can open that. Find any temporary files (auto.sv$ by default) and rename them with a DWG extension and try to open them. Open a new drawing and try to insert the drawing (use the INSERT command). If it works, EXPLODE the drawing after you insert it. Then use the AUDIT command. Open a new drawing and try to insert the drawing as an external reference. (Choose Insert > External Reference.) Then use the AUDIT command. If the drawing crashes just when it seems to be almost loaded, try again but this time press Esc repeatedly until the loading is complete. This procedure stops the regeneration of the drawing, which may be causing the crash. Then use the AUDIT command. Finally, try the RECOVER command. Open a new drawing and choose File > Drawing Utilities > Recover. Choose the drawing from the dialog box and click OK. Actually, there’s no harm in using RECOVER first and then trying the other techniques. If you can open a drawing but get an error message, use the AUDIT command, which you can find right next to the RECOVER command on the File menu. AutoCAD tries to correct any errors. Timothy Keyser suggests setting the AUDITCTL system variable to 1 to create a log file of the results of the AUDIT command in your working folder with the same name as your drawing and a filename extension of .adt. He notes that this report is overwritten every time you use the AUDIT command, so it you want to save it, move it to another folder or rename the file. You can also send this file to Autodesk to help them troubleshoot your drawing. If you can’t correct some settings, and it’s driving you crazy trying to find them, select everything in the drawing and choose Edit > Copy to copy everything to the Clipboard. Open a new drawing with a template you know and trust and choose Edit > Paste. You can also open a new drawing with the Start from Scratch option to open a drawing with as few settings as possible. Another technique is to use WBLOCK to save all the objects in the drawing as a new drawing file. This is similar to the previous technique. Thank you very much for this. It was very helpful. You saved almost 10 hours. These are really solid tips, Ellen, and have helped us and many other users save hours of work. One other trick we’ve used on drawings that are unrecoverable, even using these methods, is to use AutoCAD Map. If you create a new drawing then query in entities from the corrupt drawing, you can often get a good percentage of the elements to be recovered and inserted. At times the entire header of a drawing seems to get destroyed or corrupted, not even allowing it to be inserted as a block. The Map query method can usually get around this. You can check out step by step instructions on this method at http://www.cadsoft-consult.com. I have just started using Autocad 2012 and just yesterday, I clicked the ‘open’ button and instead of the select file pop up box appearing, I just had a ‘enter name of drawing’ prompt on the command line. Even if I select ‘new’ it does not open the pop up box and just gives a file path on the command line. Is there a setting to restore the pop up file window?? Probably some program or person set the FILEDIA system variable to 0, which turns off dialog boxes. Try typing filedia on the command line, pressing Enter, typing 1 and pressing Enter again. Hi, I’m just about to start a new job using Autocad for the first time after about 15 years using a comparable package. My problem is that my prospective employer has drawings which were set up by somebody else and now will not print properly. The scale is wrong,the whole title block is not visible when printing, and there is a white stripe where info should be. Previously I would have rescaled the plan to 1:1,resized the sheet to suit the scale and checked my layers. I haven’t viewed the Cad or ard copy yet. Any ideas please ? Such a legend Ellen!! You saved me many tears! Thanks. I always want to help save tears! Ellen, Thank you Thank you for your help! Much appreciated! (I had the “filedia” problem.) I’m so glad I found your website/blog. I am using autocad 2013 version.I cant open the drawing file but the same drawing is opened in other version please advice me what I have to do to open the file. I have problem opening Autocad 2010, which was working fine earlier, When I changE the login user it works fine, But I have to go back to original login which doesn’t work. pl help thanks!!!! Ellen – You are a life saver! I let my friend borrow my computer for an hour today, and somehow he managed to change several settings. I fixed most of them, but was still having the same problem as Steve. I never would have figured it out without your blog. Thank you! THANK YOU very much! Saved my project completely!! FILEDIA… Awesome!!! Thank you very much. Ellen!! Thank you thank You!!! Hi..Ellen ,I am using autocad 2013 version.I cant open the Cadian 2012 drawing file but the same drawing is opened in autocad 2013LT version please advice me what I have to do to open the file. hi…i made an autocad dwg an year ago, nw when i am trying to open it shows “error opening file”…infact when i click “open” the file name dose’nt appear, it only appears in recent documents…what do i do nw?i really need that file for my college submission…plz help. Was it done with the student edition? Or do you have the student edition now? Did you try all the steps in this blog post? Have you tried double-clicking it in Windows Explorer? i never deleted the file then why cant i c it under the open pull down menu??? i didn’t try the steps in the blog post cz, no options come when i right click it..
i do have a print of that file…can i get it back by scanning o sumthng??? some of my cad files are not open by Auto Cad 2010. What should i do? 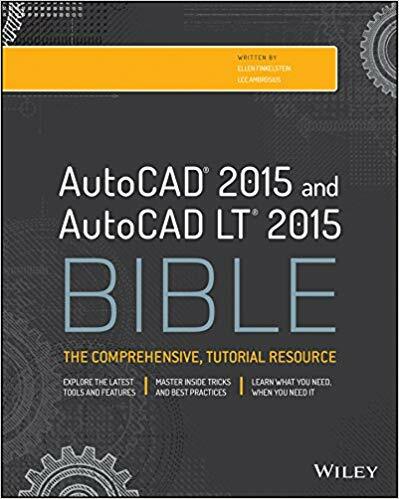 AutoCAD 2013 Student edition. The frequent problem I run into is when I am working on a project that gets quite large, when I try to work on some “minute” details I cannot get the object snap to land on a desired point. The point keeps shifting from side to side or above and below but not where I want it. Is there a way to fix that or other trick to doing the detail drawing elsewhere and then import the drawing via clipboard? I’m working with AutoCAD electrical 2013. and I’m have a problem with opening a drawing. when I go to open a drawing once I have a drawing open it ask me to save the drawing that I have open first, then it will open the dialog box so I can open an other drawing. I did not have to do this before something changed and I don’t know what? Thanks Ellen. It helped a lot. I am working on a set that was from a newer version of AutoCAD and I had to convert it to 2004 to work on it. The problem started when I edited some existing blocks and then I could not do a copy/paste. I started from scratch and then it happened again as soon as I changed layers of some objects. Using your tip, I used insert to add the problem file and left the “Explode” checked. It brought the drawing in with all blocks intact and now I can copy/paste in this drawing. Any idea why it happens in the first place? I will now go ahead and do the same thing with this “new” drawing and see if I run into same issue or not. Anyways, now I have a way to recover my work. Thanks again! F.A., I’ve no idea why it happened — impossible to know all the variables. Glad you now have a way forward! why i cant open my autocad. its only can be load until 96% then it will not responding. is there any problem with my RAM or my pc ? or its probably come from the autocad ? Often the WBLOCK command is helpful. It also copies to a new drawing but will strip out extraneous stuff. You have no idea what could be making the file so big? When I want to open a dwg file and select Open , it go to command option not to folder to let me select the required file. HIbsana is your basic acad.dwg a file of 24 MB and how do you select the element to copy to a new drawing if you use ctrl A or wblock * you select everything in the drawing. Select the elements you want to save manualy and paste to a new drawing. I sympathize with Hibsana, because I have the same problem of something in a file that causes it to balloon so large. The AutoCAD forum websites are full of people with this problem but no one has a solution for it or an explanation of what causes it. It seems to me this is something Inherent to AutoCAD. I wish AutoCAD would respond to this, but they are just a microcosm of the US government…too big to do anything! I have the Gstar CAD 2012 program, and I have used AutoCAD. They seem nearly identical to me. However, I recently got a new computer, and deactivated the CAD program on the old computer (with a .xml file they sent me) and have now reactivated the program on my new computer. The problem is, every drawing I open, I can work, and then make one plot. The next time I try to plot it crashes. I tried a repair, but same problem. I was told it sounds like a cache problem, but I have no idea what to do next. Any help? i am an I.T in a construction company, all engineers have their own Autocad versions: 2008, 2009, 2010, 2012 & 2013. all went well for 5 years in the office, not until a couple of months ago it happen to a one engineer that his autocad closes automatically and all his work wiped out. another problem was the autocad cannot save and it says ERROR then it closes. lastly, when u presses CTRL-S it will hang and message come ‘NOT RESPONDING’. some of them using XP & Win7 and same problem. few engineers experiencing this way, i hope it won’t happen to my big bosses. Please advise. I have problem displaying insulation line to appropriate format. Instead of SSSSSS format, the line type is displayed as ……..(dots). Changing ltscale won’t help. Can you pl help? Thanks. I am using Autocad 2013. I am working in auto cad lt for mac 2013 and can draw a line but cannot erase or trim..any ideas? some file cannot open which is saved on old version. OMG! YOU ARE AWESOME. This saved about 12 hours of work for me. Thanks!!!! Starting to work in autocad 2013/14. Everything seems to work fine. We’ve got some customization, toolbars, keyboard shortcuts, aliases on. Then, when I save, the RAM passes from 2GB to almost 8GB, the full amount available! My file is about 2Mb, with Xrefs and network managed. My other machine, also new, did the same issue. Now I’ve a Dell w/ Win 7, 8GB ram, Core i7@3.4Ghz 64-bit! my previous drawing was autocad 2007 they was block of drawing.now i use autocad2014. there i try to open drawing. here i see that the drawing is block. now when i extrude block i can not show the inside room. or not get full drawing. please give me suggestion. I am not very experienced in AutoCad. I do have a few questions. I have AutoCad 2004 on my laptop. Jeff you can use the OPEN command to use a drawing, or open explorer and rightclick the drawing in the menu choose open with autocad. In the floorplan use BOundary set to polyline and list the resulting polyline to get the area direct. With distance you can measure the walls or draw a polyline and list for the length. I am slowly but surely making my way through autocad2013 with the help of your tutorials etc. on your website thankyou so much. most recently I’ve run into a problem everytime I attempt to initiate the hatch command I receive a fatal error message and a request to send a report to autodesk. I can’t get past this point or proceed any further. oddly if I use the computers at school rather than my laptop I can complete my drawings. my husband suspects it is because the driver on laptop is not sufficient or large enough ? or is there some sort of corruption present ? this has only happened at the hatch command attempt. I am having a problem. The text inside blocks does not show up in modelspace or paperspace. Can you please help. My O.S. is 64-bit W.7 and I’m using AutoCAD LT 2004. I’ve received an emailed .dwg drawing but can’t open it – ‘Drawing file is not valid’. Can you please offer a solution? Would I need to upgrade to newer AutoCAD version? The emailed drawing is probably made with a newer version of AutoCAD. If you install DWG Viewer (free @ autodesk.com), you can use the built-in DWG Convert command (located on the Quick Access toolbar at the top left) to convert the drawing to AutoCAD 2004 format. Then you can open it in AutoCAD LT 2004. You may have a wipeout on top of the text. Type WIPEOUT and select FRAMES then ON. If there is awipeout there you will see it. Try to set ANNOALLVISIBLE to 1 and if your text show up, then you need to open the block in the block editor and turn the text to be NOT ANNOTATIVE. Make sure to set ANNOALLVISIBLE back to 0 after you are done. Robert, I have had a similar problem. If the text was on a layer when it was created that is off in the current drawing that you are inserting it into, it will not show. If you either turn all the layers on or if you explode the block, I think you will see it in your current drawing. Don’t forget to create your own personal AutoCAD profile and export it to a location on your hard drive. This way, if your bud makes changes, you can select your profile and set it current. If that does not work, then re-import your backup profile and make it current. If anyone is looking for the trick to make wipeouts work across multiple printers/plotters, just let me know. Generally, wipeouts should be avoided if possible, especially if another design firm will be responsible for the final plotting. Send Them A Test if necessary. I have this small (835kB) dwg file that takes forever to open. The one time that I managed to open it successfully, I checked that there is no file being referenced. I thought that the problem lies with our server HD but when I copied it to my local HD, the problem persists. I am using the autocadd 2013 in architact design and also in mep works . a drawing which r open but during open the file some error show in drawing and then asking for stop the working in file so please tell me about that how to open completely and working on that …its important for me please tell me immedieatly……. I am using the autocad 2007. I am having a problem.why does’t work commands.such as command rec,circle etc.please tell me about this problem. Hi, I am facing one strange problem in autocad 2011. In Some of my drawings all the blockes used gets disappeared. I have to spent a lot time to rebuilt the drawings. Can anyone tell me why it happens and what is solution? ? thanks a lot . while making drawing error coming on display can you guide me how to solve this problem . reply as soon thank you..
Ellen. I am using 2009 Land Desktop and I’ve been able to customize my tabs and palettes but when I try to insert a block from my block pallete the program crashes and shuts down. Can you help me? I am using acad12 and I am doing a 3D drawing of a house I designed. I’ve drawn the shell and I am now doing the window and door cutouts. I have the opening of the doors and windows and need to use the presspull command. When I first started doing the drawing, the presspull command worked just fine but all of a sudden it will not work in my drawing but when I get out of my drawing and just have my basic drawing with my menu up it works. It freezes up and I have to close the drawing and then recover it when I call it up again. Is there anyway I can use a command similar to presspull for my opening thicknesses or maybe you can tell me how I can get my presspull command to work in my drawing and not freeze it up? Please help! Thanks. Hi, I’m using CAD 2013LT and running it with Dell w/ Win 7, 8GB ram, Core i7@2.4Ghz 64-bit. I’m having some serious problems with saving. It started out about a year ago and it was infrequent now I’m up to it occurring more than weekly. So basically I draft up 6-8 hours worth of designs, do a save or saveas or a qsave and then make a .pdf of the design. The PDF is existent, the cad file ends up not saving…now its not saving to my local or to my network server. This is a MONUMENTAL issue. PLEASE help..sos…were literally going to have to completely start fresh with a new laptop unless someone can guide me on finding the error in a configuration file or guide me in some way. Please help…waving the white flag and an SOS! Alison, my 1st reaction is how come you’re doing 6-8 hours of work and only saving once? I save every 5 minutes and I don’t have problems saving. Second, is there a BAK or sv$ file? Do you have problems with other programs? For example, if you create a Word document, save it, and convert it to a PDF, is your Word document saved? If you have no problem in Word, have you tried reinstalling AutoCAD? Hi Ellen, Of course I save every 20 minutes and more frequently if moving to and from project files. Just meant in general I could go 6-8 hours within the same file working on it and have it loose that many saves and BAK and DWL and DWL2 files. For no apparent reason. My computer is operating correctly its able to do all other saving to PDF and saves to both the server and local. Currently too CAD off and hunting for our business copy of 13lt to reinstall the full version. Its just a very huge amount of work thats gone and oddly enough the last time I saved my CAD file to both the Network Server and my local to back it up and the icon was present but dimmed and the file couldn’t be read is all it would say when opening. Have you tried the RECOVER command? Other than that, and AUDIT and reinstalling AutoCAD LT, I don’t have any suggestions if it seems unique to AutoCAD. Can you convert a “text document” titled “plot” created by autocad when printing into a dwg file? 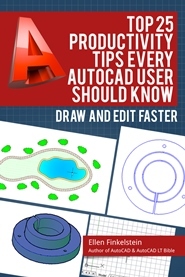 I am using Autocad 2013 since 2 day i am facing a problem that I loose all the drawing after several hours of working while i am using any command?so what shell i do to recover my drawings. It’s 3am in the morning here, my autocad crashed and the file couldn’t be recovered. Submission is tomorrow, and I hv been doing this thing since 2 days ago. Thanks I found this page! It couldn’t be recovered, couldn’t be audited, and the bak to dwg didn’t work too. Finally I could insert as attachment, but I couldn’t explode it. So it’s a group and couldn’t be edited. Still need to redo but at least hv something to print for tomorrow submission first! what mean of eInvalid Group Code 67? I have autocad 13 and i can draw in 2d but not 3d why? is there a download or fix to get it going again?? my pull down menu for the setting also stopped working. when I give command zero(0)angle & 90 angle the line is going to origin X & Y can any one give solution .?????????????? mitreyee, I get that message when I have not closed a previous block editing sessions. Have you tried seeing if you have an open block? Such as type BC for block close? PS to mitreyee, or you need to type REFCLOSE if you editted the block in place. My cad problem is not shown my make Drawing. In open file & closed after file show preview the My make drg. Fig. I am working with autocad 2007 but i have encounter problem just now that when i open the autocad file it automatically closing the autocad. What is the reason? We have got problems recently open drawing files (dwg) direct from our server. When copying them to desktop or local computer, it becomes possible. Is it something with Microsoft updates and long filenames? why when the drawing open it is not 1234.dwg ? I am using GstarCAD for civil drawings. I unfortunately did “G -> options -> profile -> Reset” while practicing you tube lessons and now i lost all options including command line toolbar menu bar. I am using auto cad 2004. i have bought a new plot when measure the area of the plot i find 4 walls with different dimensions. i have also cross dimension but i have no idea how to work on it. if you know them please help me in this regard. what is the setting to open up the last drawing when starting autocad? I am using AutoCad 2002. I have saved my work to a flash drive to take to a desktop computer to print on a plotter. When I go through the motions to print, the drawing opens up and I can do all the steps, but when it gets to print preview and it is blank. I can print other drawings, but not the one I need. Can you help? I’m using 2007 version of AutoCAD and I’m working in 2D only. My problem is the following: i’m making COPY BLOCK in a window and then switching in a different window, the PASTE command gives me a different block. It is really annoying, can you help me please ? Thank you very much. Draworder command can’t be used in my Auto CAD. I am using Auto CAD 2014.Please answer me if you could know the method to solve.Thanks alot. I’m using AutoCAD 2013 and just out of the blue I get a fatal error when trying to use the hatch command. my Carlson 2007 only loads to 96% the becomes unresponsive. Please help! While trying to open drawing file in AutoCAD, it says, ‘Drawing file is not valid’. I am using AutoCAD 2012 and the file is compatible with older version. Does it mean my file is damaged and beyond repair? any one cad users helps me please. You saved my day! My file always stopped processing while opening at 12% and didnt open any further. RECOVER worked perfectly, but nothing from above. Highly recommend always to start with RECOVER. Hello. I am having a similar problem with the “browse” tab. Anywhere in my Autocad 2009 LDD that I try to browse to a folder on our server, autocad stops responding. This just started Monday and has never happened in all these years. If I try to save a drawing I need to pick the folder, not browse to it. If I want to “wblock”, it will not let me browse to place it in another folder, I must pick a folder from the pull down that has been used previously. Any help would be greatly appreciated! It worked for about an hour yesterday and then failed again… Thanks!! hi Ellen, how you doing ? i am using Autocad 2016 , my question or problem is when i am trying to print one file i take print cmnd then i wanted to change colors & thickness of lines in print so i go to pen assignment then i watch there is no colors in FORM VIEW Tab .. this is my problem getting for one file which is got from my consultant. This is usually because the scale of the linetype definition is wrong for your drawing. There’s an overall linetype scale and you can also change the scale by object.